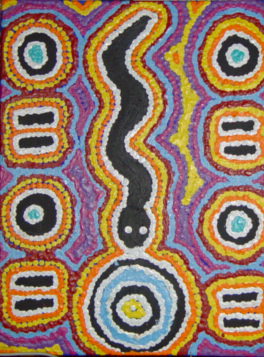 This has been painted by a 9 year old Valentine Nakamarra White at Yuendemu art centre. The children from the area go to the centre on the school holidays to learn more about their Dreaming from their parents as well as earn some pocket money. To see more children's paintings go to Making Tracks site.